June 4, 2016 0 comments on "Back Pain During Pregnancy"
Pregnancy back pain is one of the most common types of pain that women carrying a baby experience. Recent studies show that between 50-75% of women experience lower back pain at some point during their pregnancy. So the good news is that you’re not alone and there are several treatments & exercises available that can prevent or at least ease the pain. 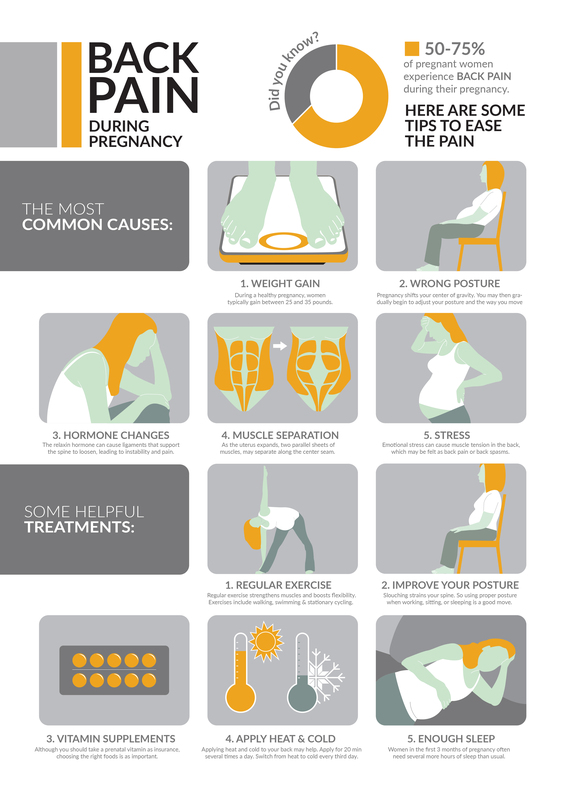 This Infographic from BC Back Clinic will show you most common causes and exercises for pregnancy back pain.